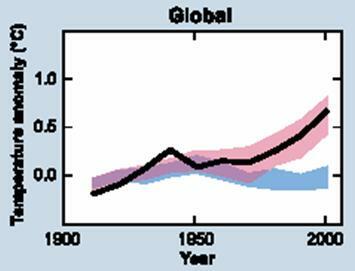 succeeded with the kind of 95% certainty figures used by the IPCC. dollars tend to get channeled to those who are the most dramatic. rapidly if they were to show any bit of skepticism in their own work. The details of these models is beyond the scope of this paper. However, it is important to understand how they work in broad outlines. inputs and comes up with the key drivers on its own. 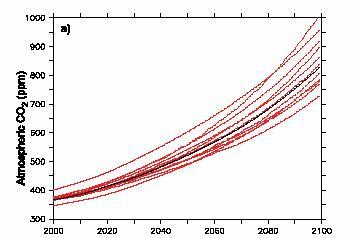 efficiencies, they convert this economic growth into emissions forecasts. history, in theory making them more accurate for the future. idea of how hard-wired the anthropogenic causation is in the IPCC process. finally model tuning and their ability to match history. incredibly complex, and they are driven by hundreds of variables. the behavior of financial markets. And no one has cracked the code. variable? Or is their observed correlation merely coincidence? but he would have lost his shirt using it. one! Success against odds of 131,072:1 of guessing all 17 right. relationship made the rounds of the Internet, the algorithm failed. models, although fairly well hidden and not much spoken of in polite society. researcher just how many such parameters there are in his or her latest model. climate-related assumptions rather than differing economic assumptions. large differences in absolute production. line in lead case A1B, and several are even steeper. in the economic growth forecasts. 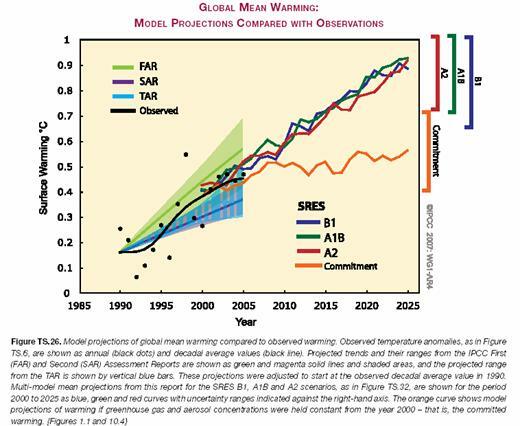 back to the 1995 emissions scenarios in the 2nd assessment. this number at about 3.5 to 4.0 degrees C.
with something called feedback effects. of this rise to CO2 levels, let's be generous and credit CO2 with 0.5C. another 0.5C from warming over the next century. the IPCC classifies our understanding of this cooling effect, if any, as "low"
historically (going back to periods where SO2 does not cloud the picture). the back of the envelope calculations I made above. I have mentioned, is positive feedback. forces at work tend to reinforce or magnify a disturbance. in climate, it seems, where everyone assumes positive feedback is common. 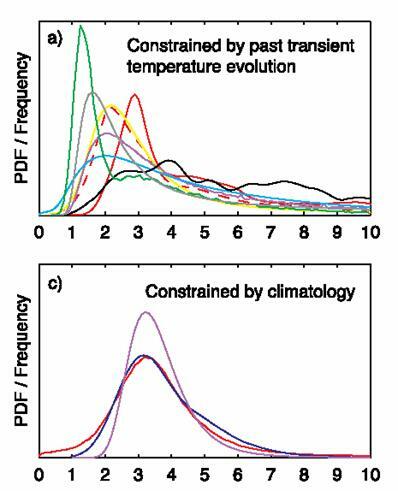 processes increase temperature 2 degrees for every one degree from CO2. So, is it reasonable to assume these feedback loops? 1-1.5 degrees sensitivity, not four). acknowledge, that temperature rises led CO2 rises by about 800 years. oceans was a positive feedback to the initial temperature perturbation. touching the accelerator and having the car start speeding out o f control. starts? Why didn't the Earth become Venus in any of these events? temperature does not run away. operate now or in the future. Why? supporters nor to justify the draconian abatement policies they advocate. will always overshoot, until they start building in these offsetting forcings. than has been observed in the past. how their refined and tweaked models match history. The blue band is without anthropogenic effects. on the outcome of NFL football games. But ignoring this suspiciously nice fit, take a look at the blue bar. turned off exactly in 1950.
the plug figure, is the blue line. trends, effects for which there are no empirical numbers.